My journey into photography with glass began when I first observed the way the rays of the sun traveled through a rose bowl on my windowsill. The unique qualities of glass, its transparency and its potential for refracting and reflecting light, have held a magical fascination for me ever since. This led to an exploration of projecting light through colored glass vases, as well as illuminating glass with color ink mixed in water. 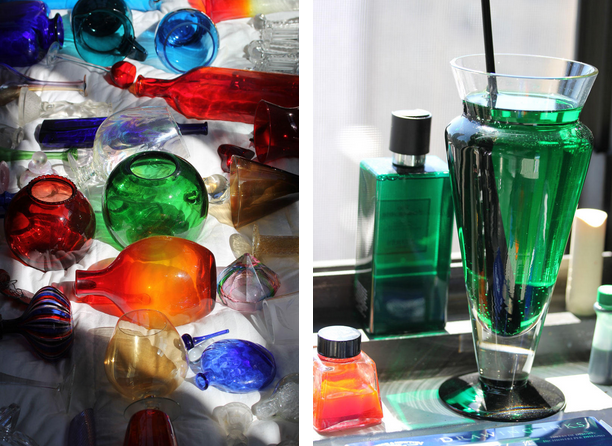 I then began to layer other glass objects in different shapes, colors, and sizes, which I found in antique stores and markets to create dimension and form. Everything becomes transparent to me through the eye of my camera. I photograph what I experience as it's happening and when I confront the image it's like awakening from a dream and I see it in full consciousness. 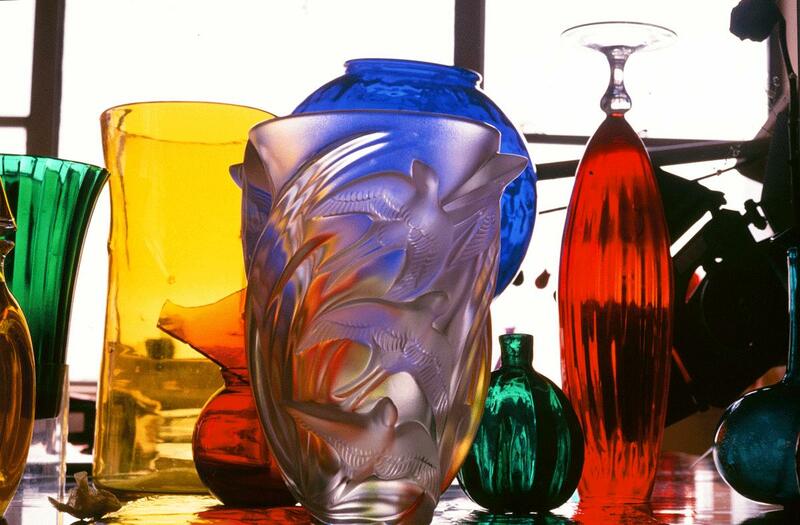 I conduct an ongoing dialogue with glass and reveal a pictorial world steeped with light, color, and magic. By photographing different versions of the way the light moves, I conduct a photographic dialogue with the glass, revealing a pictorial world steeped in radiance. The result is the transformation of an ordinary object into a jewel-like receptacle for light. By using the consistency of tungsten lights as opposed to flash, I discovered I was able to re-create the continuous quality of sunlight in my studio at night. I began to shine this light on flowers, glass, and other objects according to my projects. I continue to explore my mind's endless imagination, tapping into my subconscious through the camera, going beyond the concrete toward an infinite space, the mystical and the unseen.